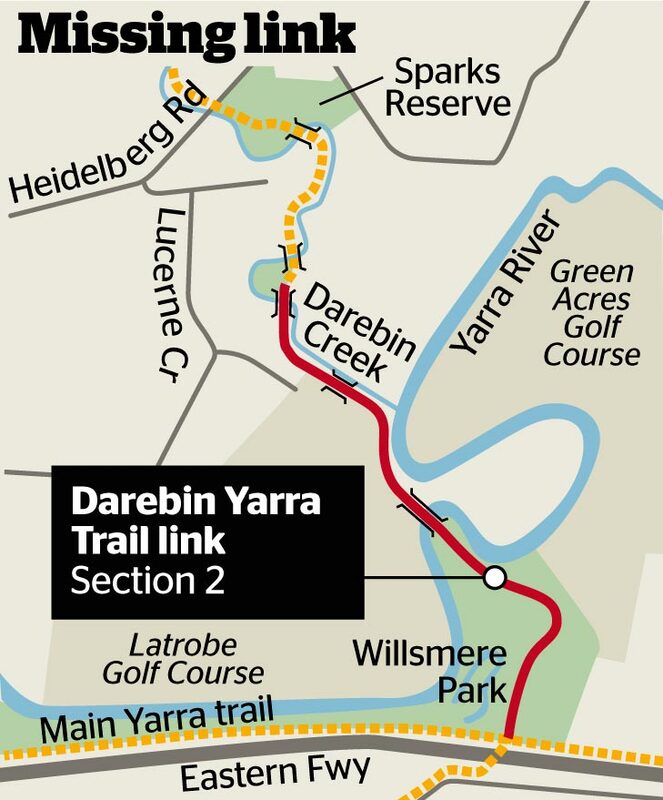 The last, stubborn obstacle to filling one of the biggest gaps in Melbourne's network of bike trails has been overcome, with work due to start this year on finishing the dead-end Darebin trail. 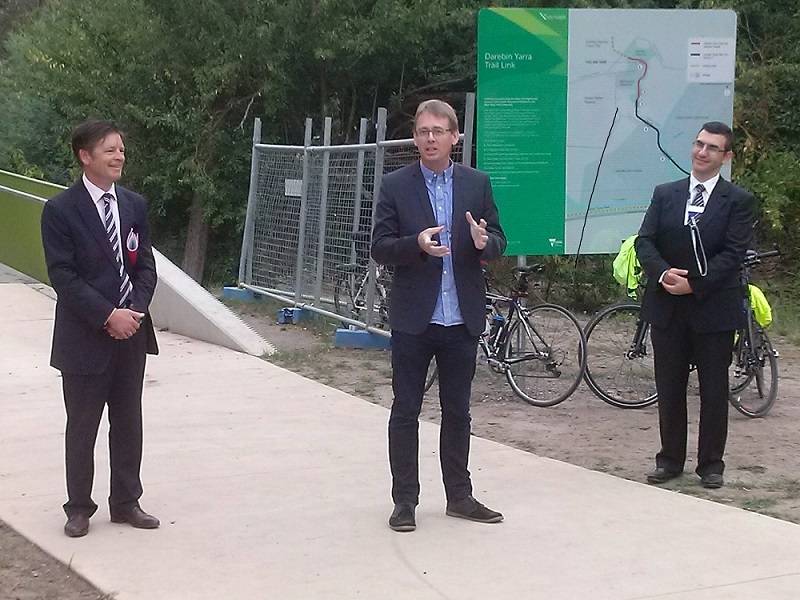 Cyclists have fought for more than 20 years to see the trail connected between Alphington and Kew, and link Melbourne's north-east with the rest of the city's web of off-road bike paths. The $18 million connection, which includes the construction of five new bridges, was first promised in 2006 but has languished for years because of opposition from councils and the failure to acquire land. The first stage of the path was built by the former Napthine government, before the project stalled over disputes with Boroondara council and the Latrobe Golf Club over land access. Last week the Andrews government used its powers under the Major Transport Projects Facilitation Act to push through the required land acquisition, and Boroondara council resolved to work with VicRoads to grant access to its land. Darebin Yarra Trail link finally to be completed & John Englart on COP21 and riding in Europe: on todays show – after a recap including yesterdays Melbourne World Wide Naked Bike Ride around the bayside suburbs, continuing saga of NSW bicycle laws and tech glitches in the studio, Chris manages to speak to Cr Philip Mallis from Boroondara Council about the long awaited final step to complete Darebin Yarra Trail link, a missing link that’s taken several decades to build and much campaiging from the local community. Our second guest is John Englart talking about his experience as an observer at COP21 in Paris, protests against Notre-Dame-Des-Landes (NDDL) and cycling through UK and France.